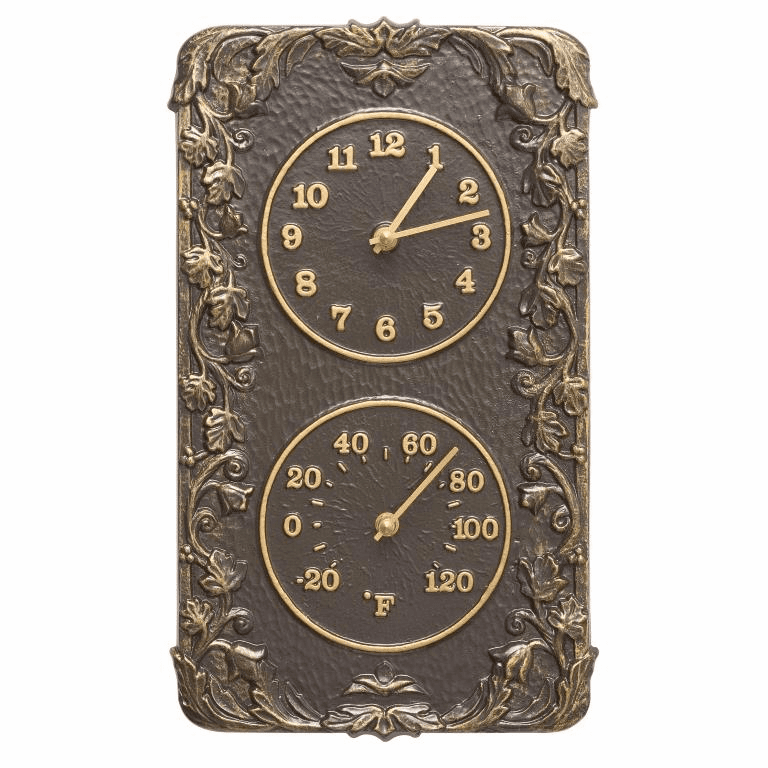 Our selection of Clock and Thermometer Combinations are not only unique but, their quality functionality and cretive designs will be enjoyed for years. 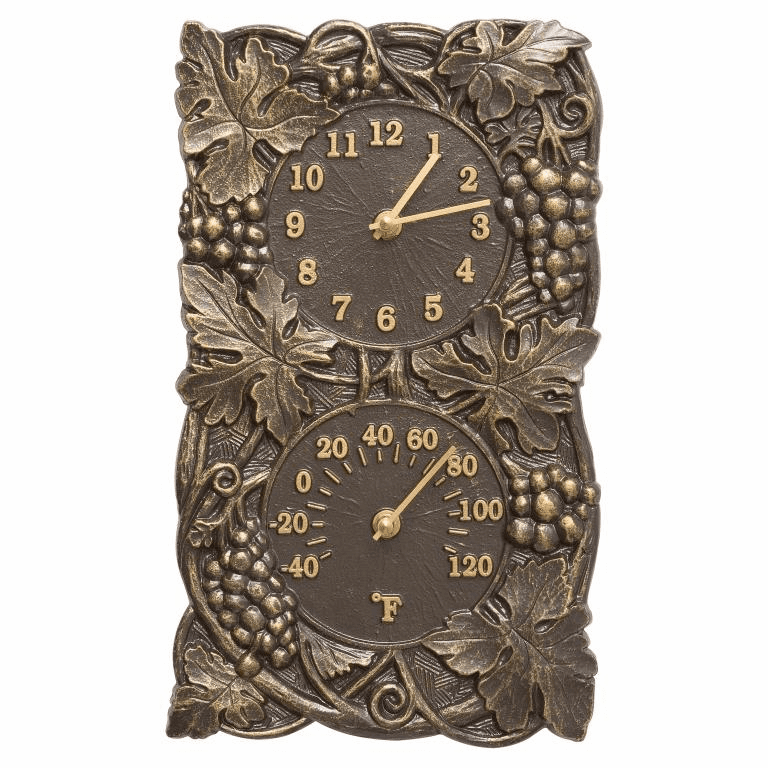 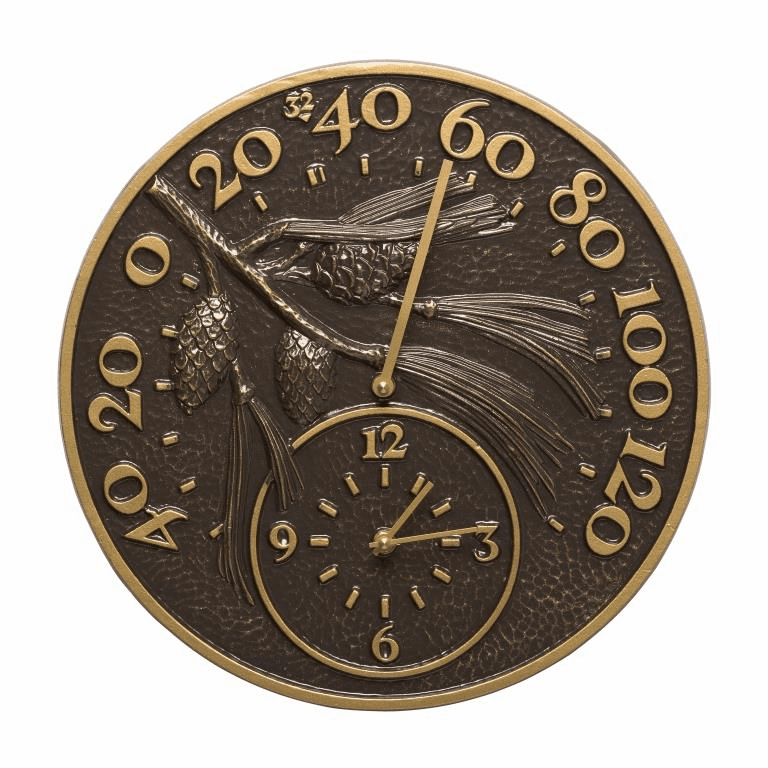 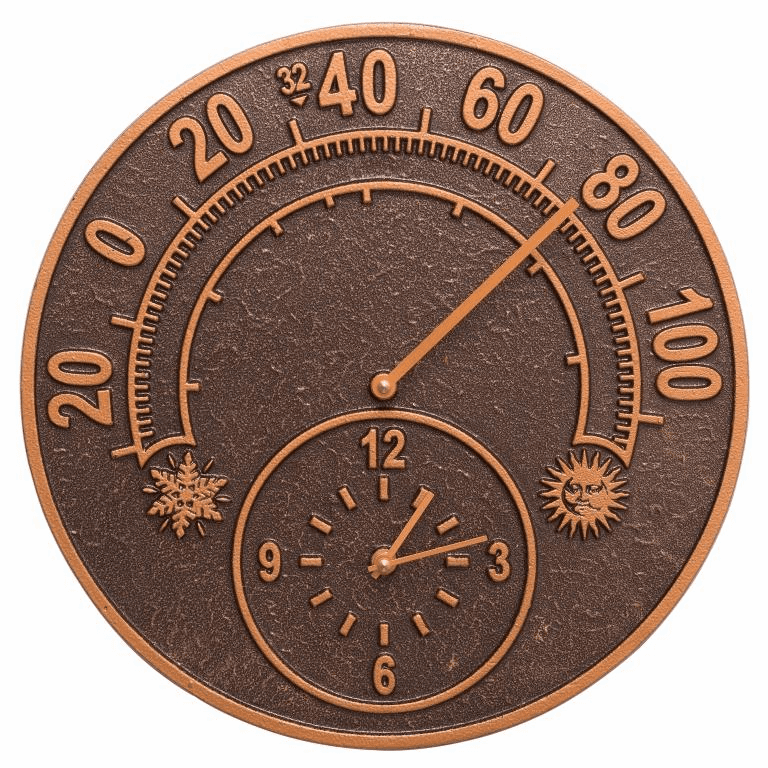 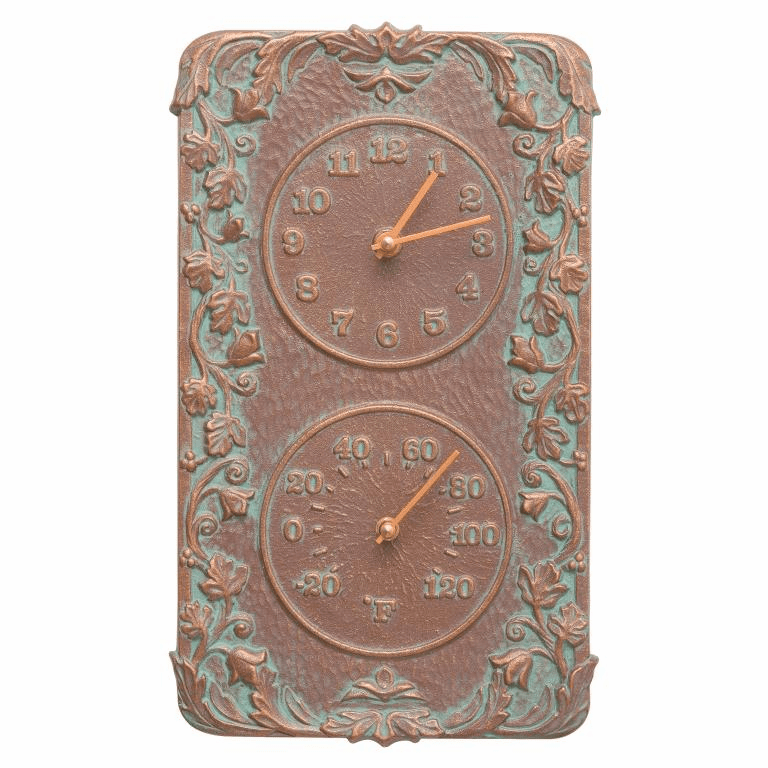 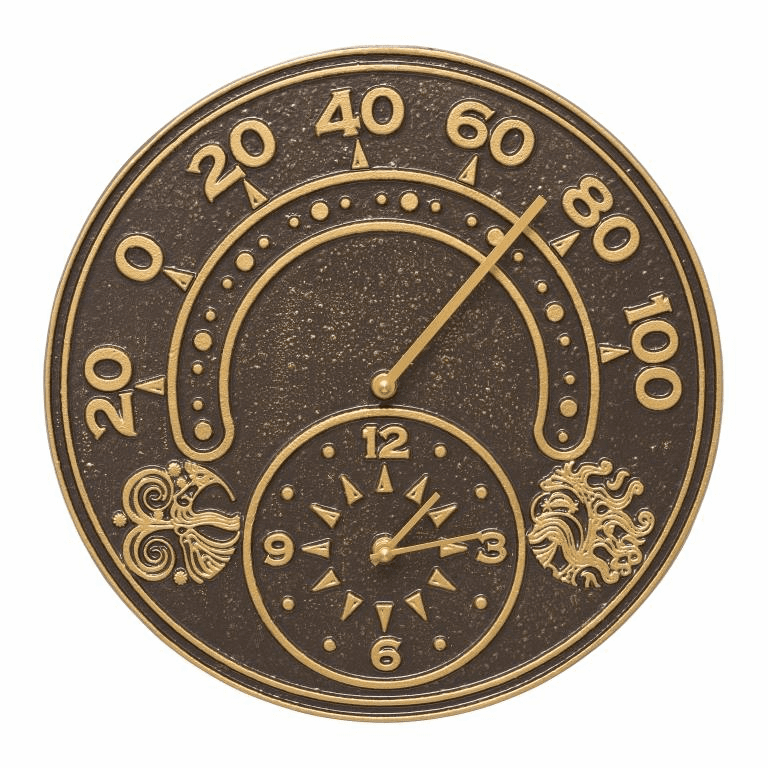 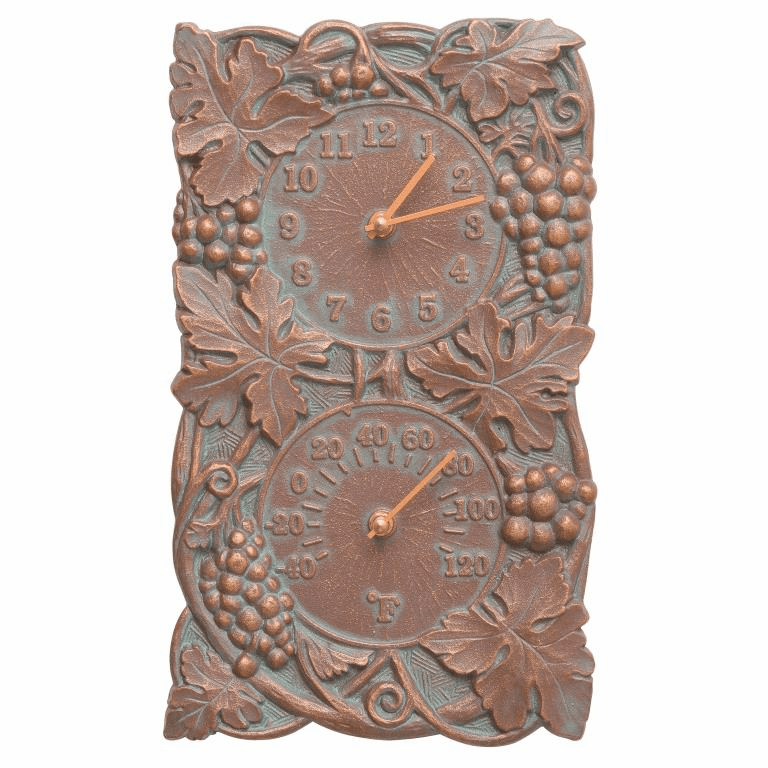 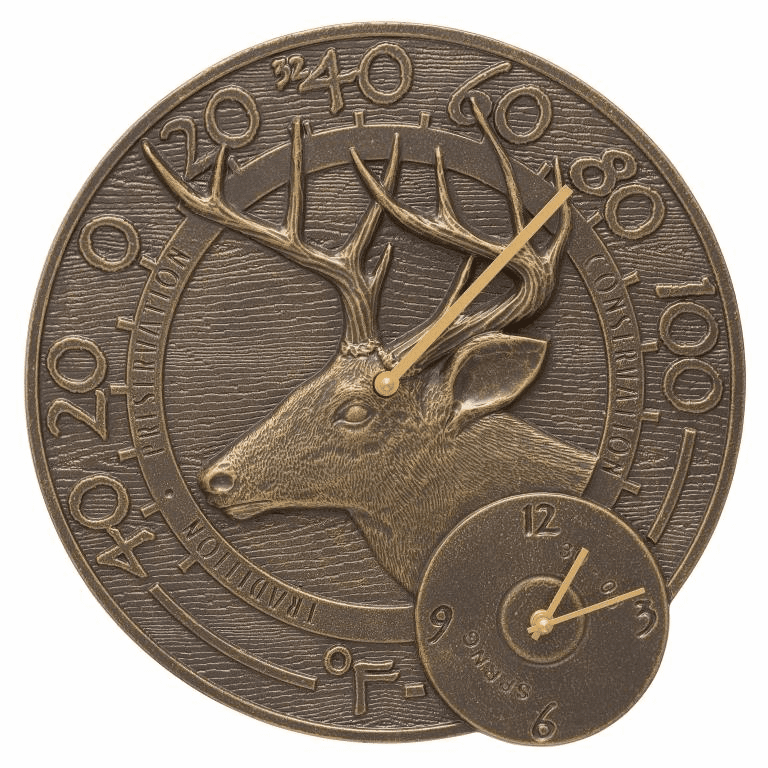 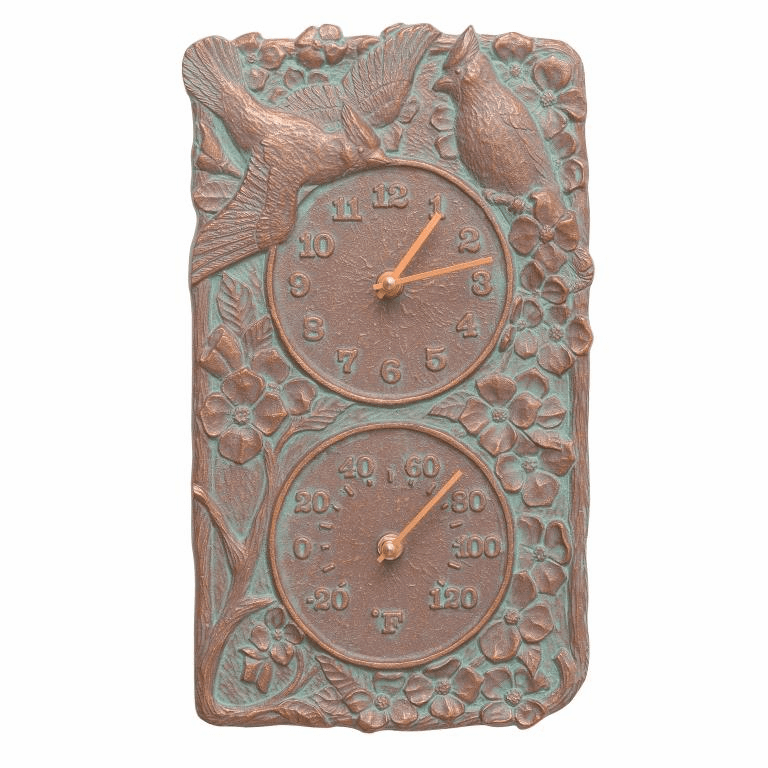 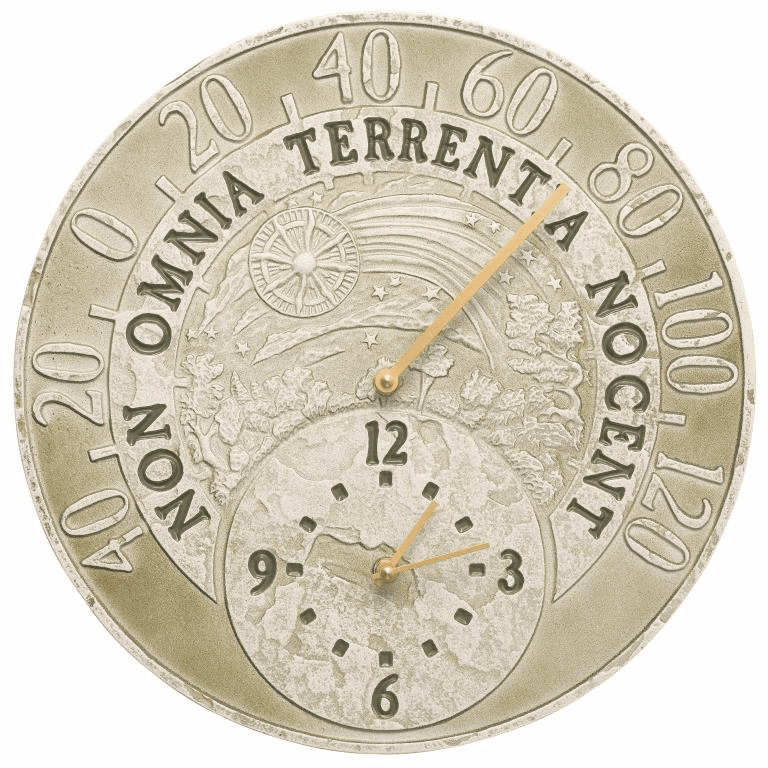 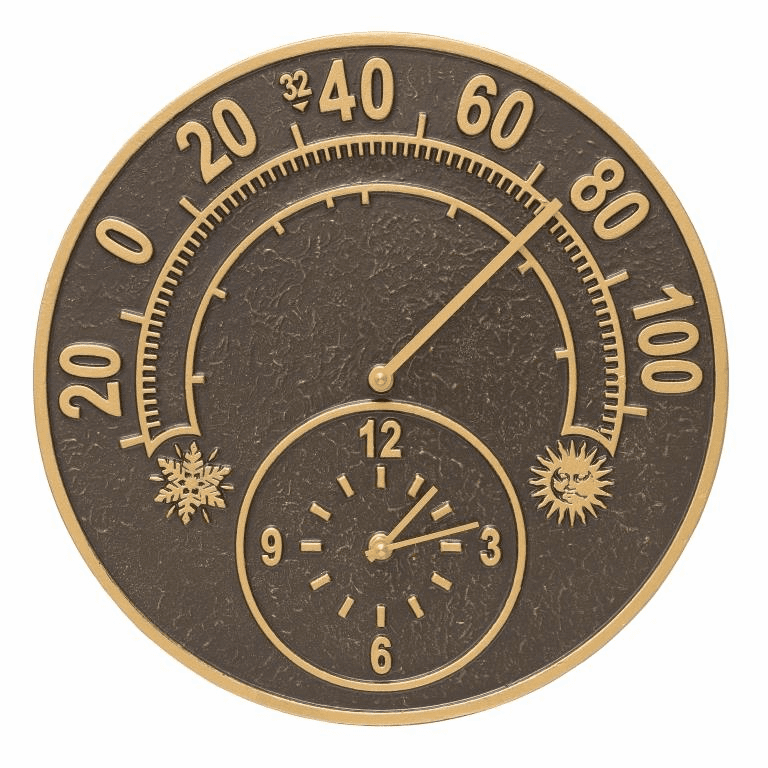 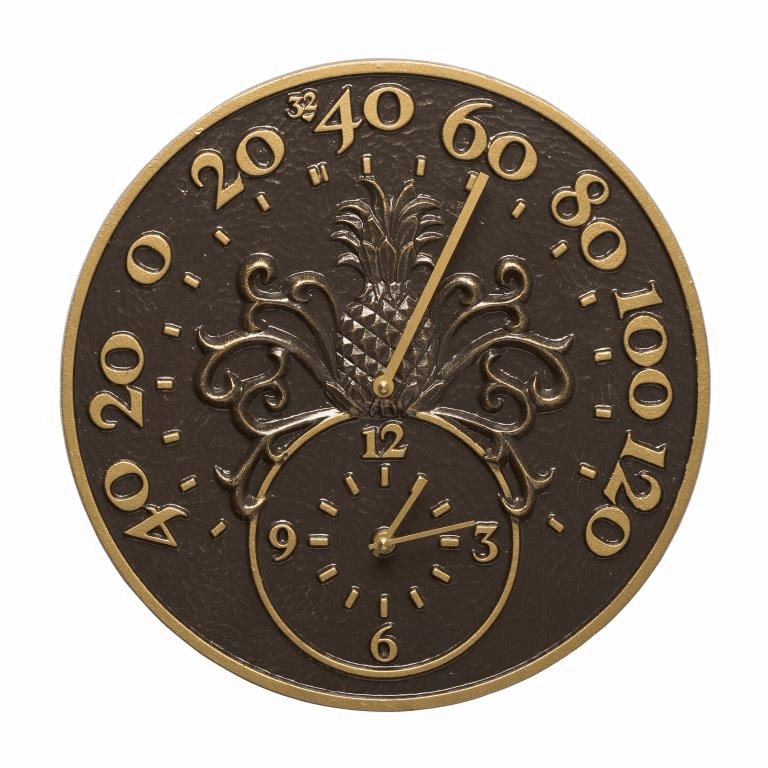 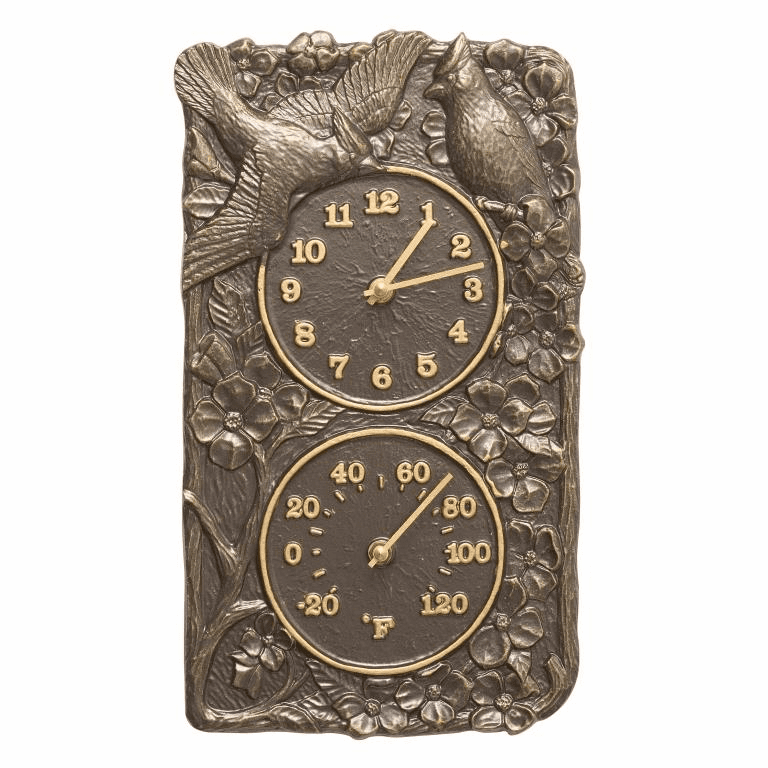 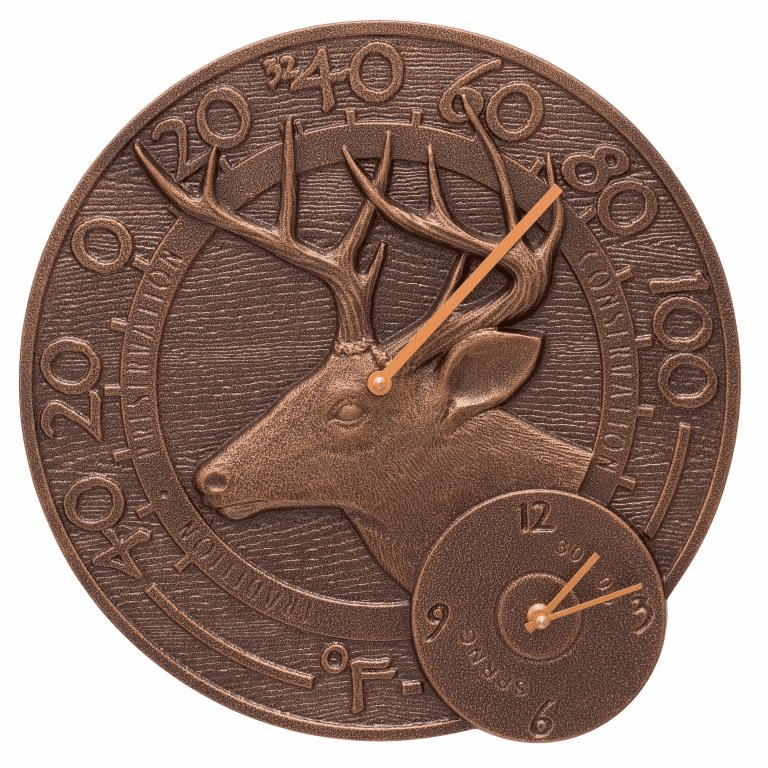 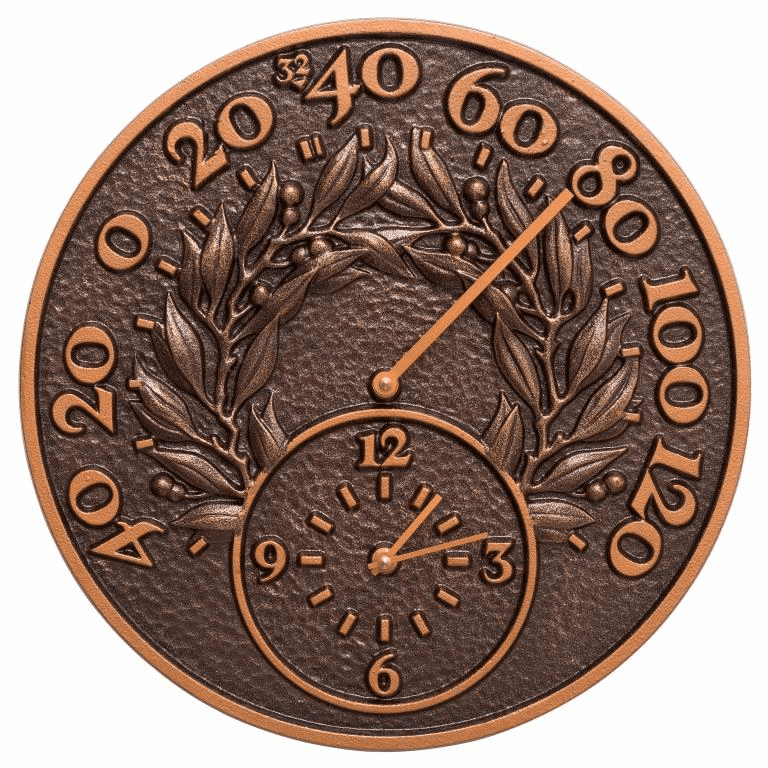 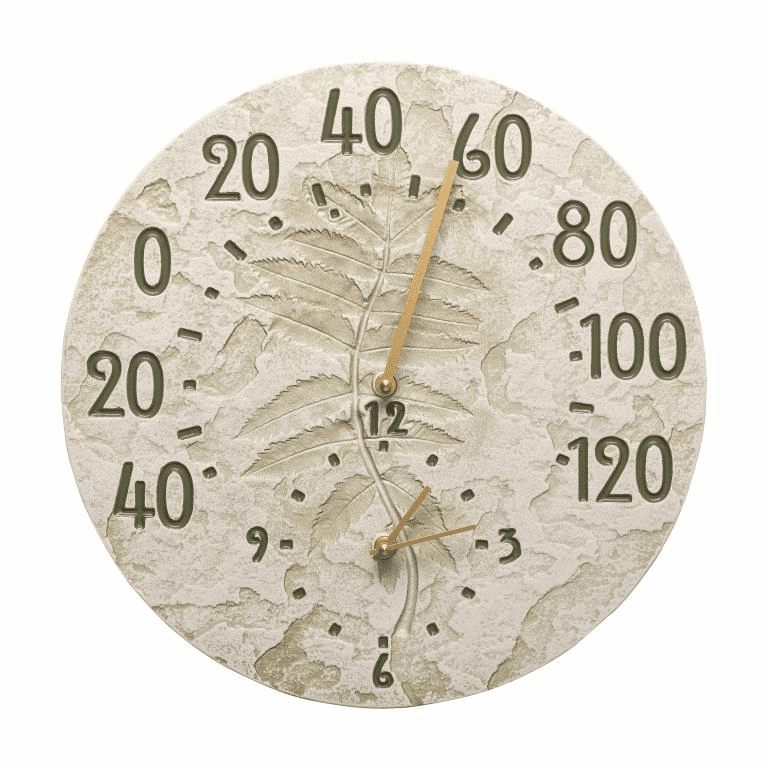 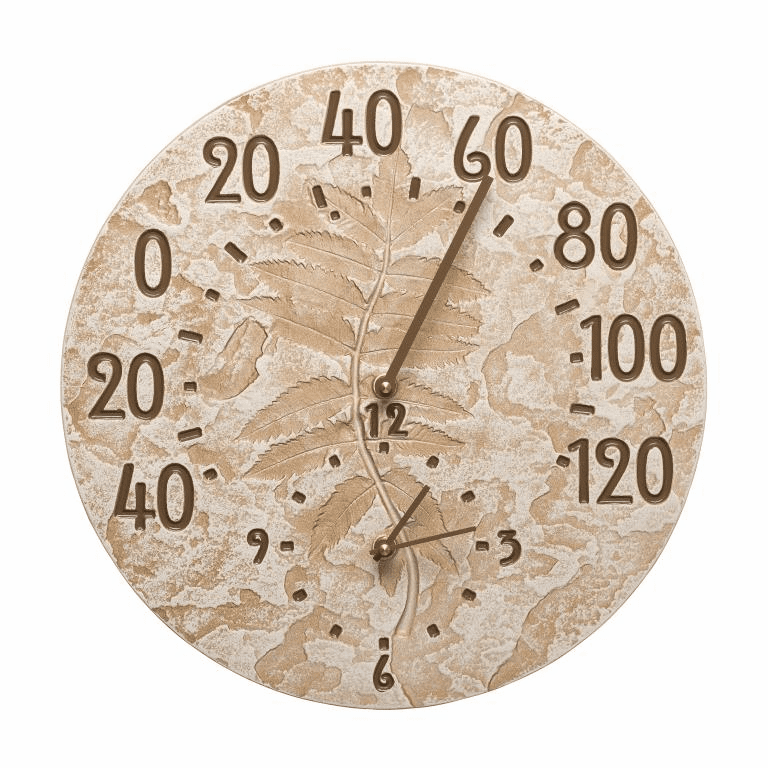 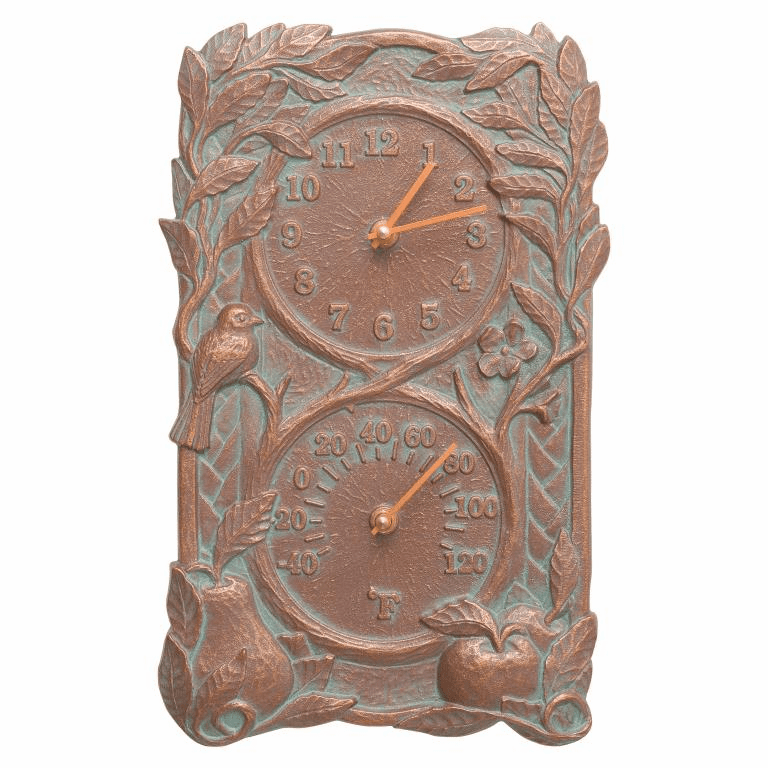 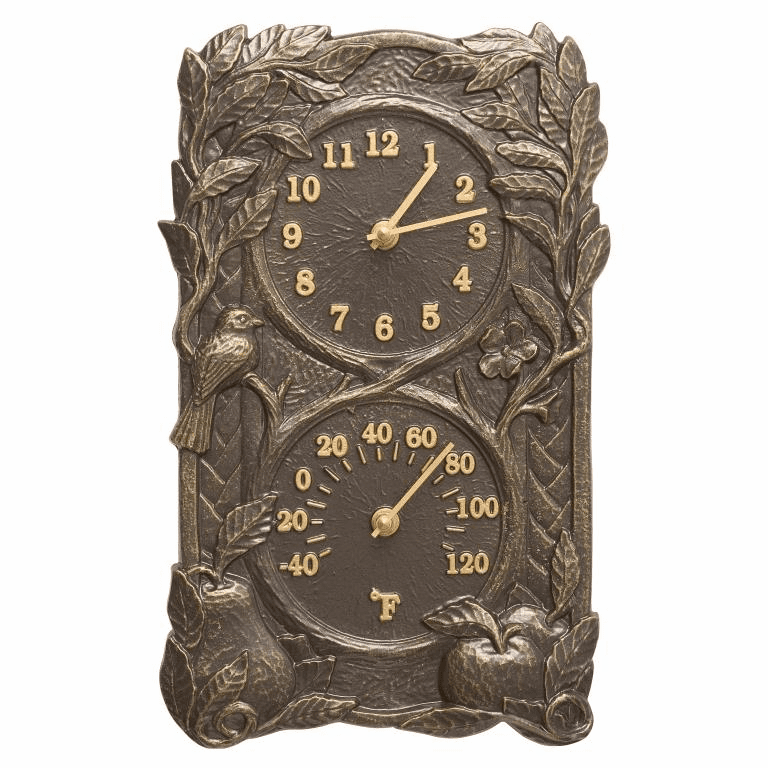 Made from rust-free aluminum, these clock/thermometer combos have a variety of designs and the rustic, natural color finishes will stand up to the outside elements. 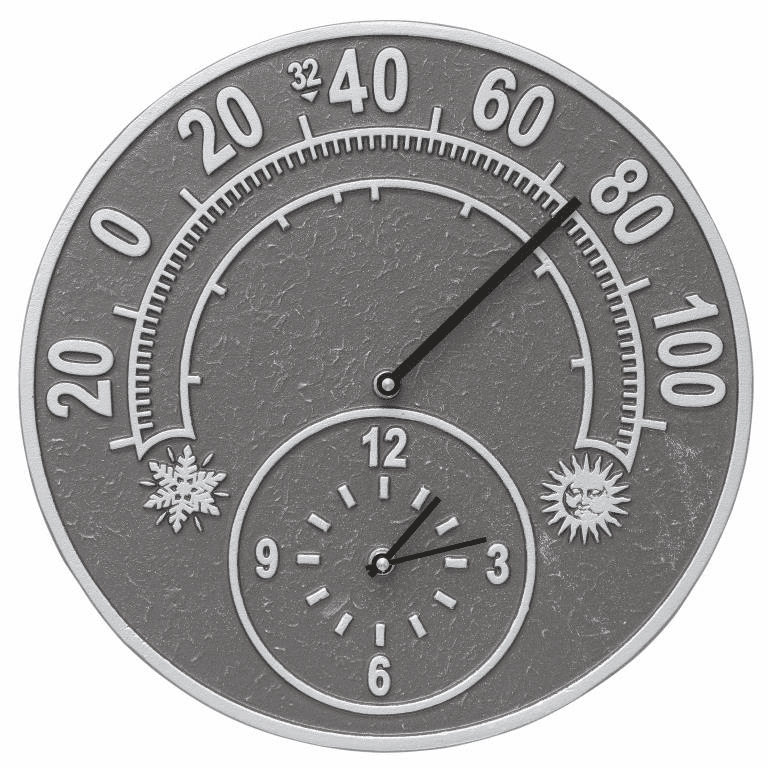 Each combo is shipped fully assembled and has been tested to start working right out of the box. 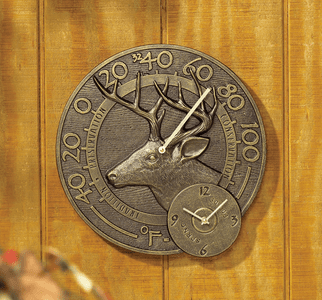 Hanging hardware is included in each package. 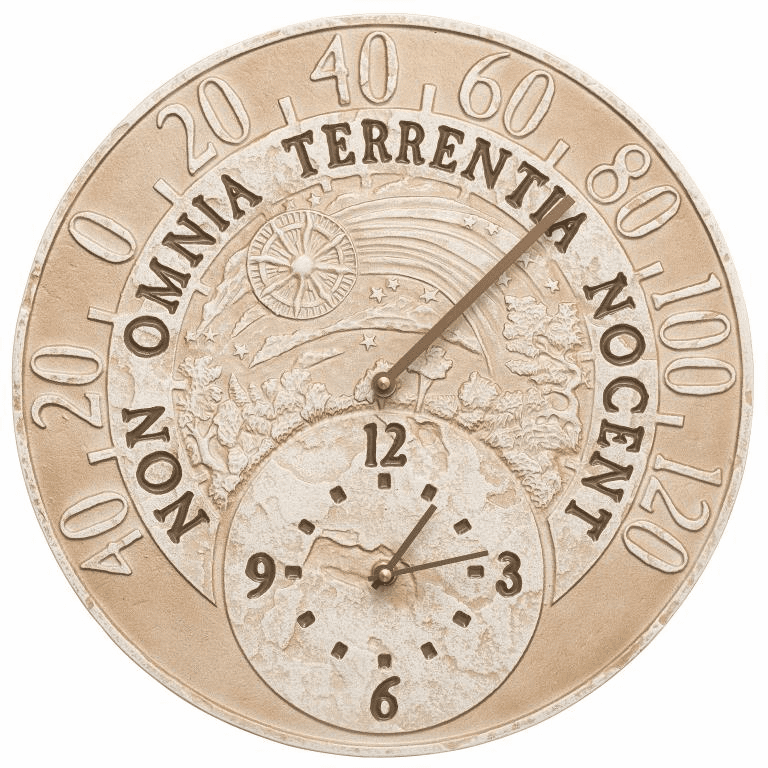 Normally ships in 2-3 weeks.